Dark green herringbone parka coat with four front button down pockets and a drawstring hood. Coat has a button and zip front fastening with a brown leather trim, three pen pockets to the left sleeve and two-button adjustable cuffs. Both chest pockets have two slip pockets under the pocket flap. Coat is fully lined in fleece material with a reindeer pattern. 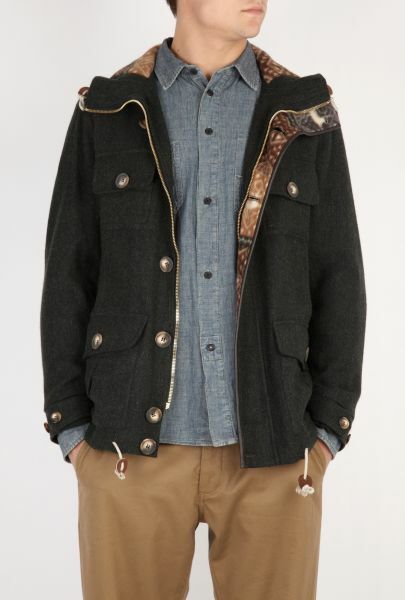 What do you think of the Mens Heritage Research Green Herringbone Wilderness Parka?